A lovely treasure chest to keep for yourself or to gift in a display of appreciation. A unique assortment of succulents with colorful moss and textural bark. 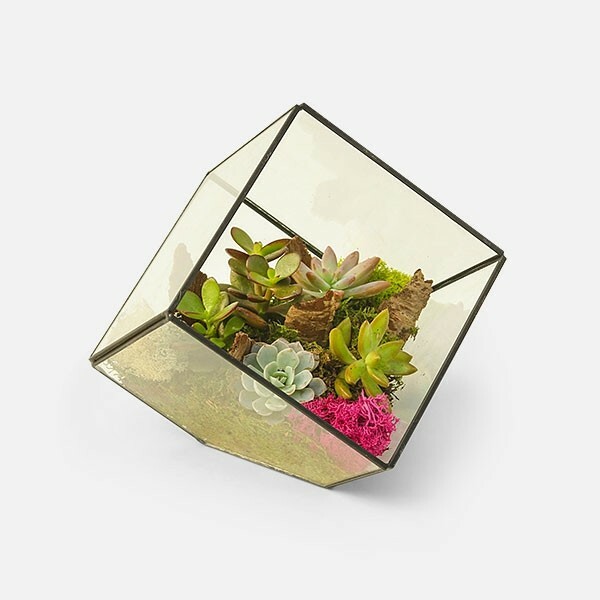 Succulents are nestled inside a beautiful tilted glass cube with black metal contours. A lovely treasure chest to keep for yourself or to gift in a display of appreciation. Provide full sun and water sparingly. 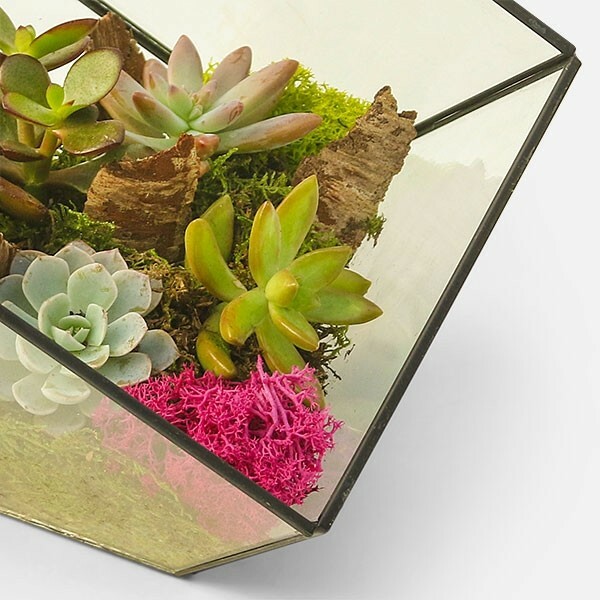 Terrariums are our specialty here at Plantshed NYC.